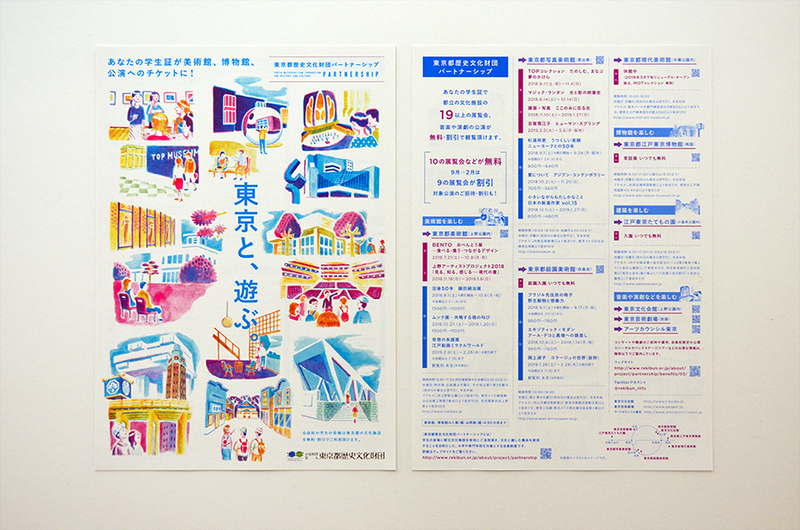 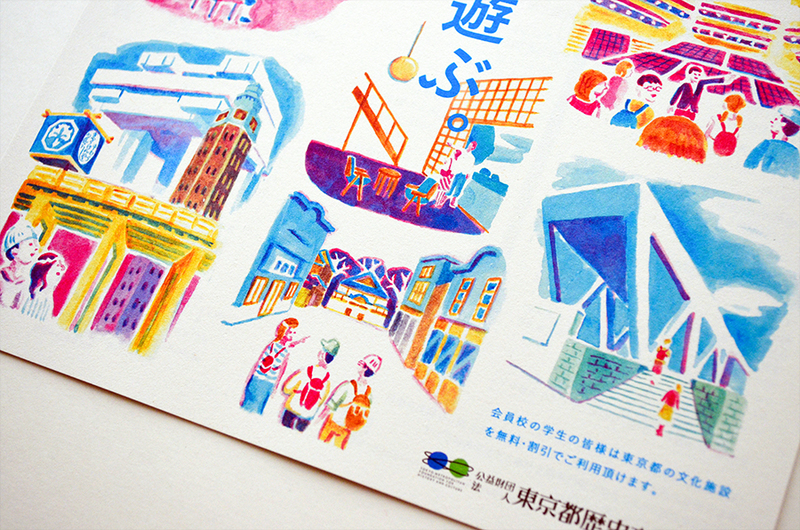 I designed a flyer for Tokyo Metropolitan Foundation for History and Culture PARTNERSHIP. 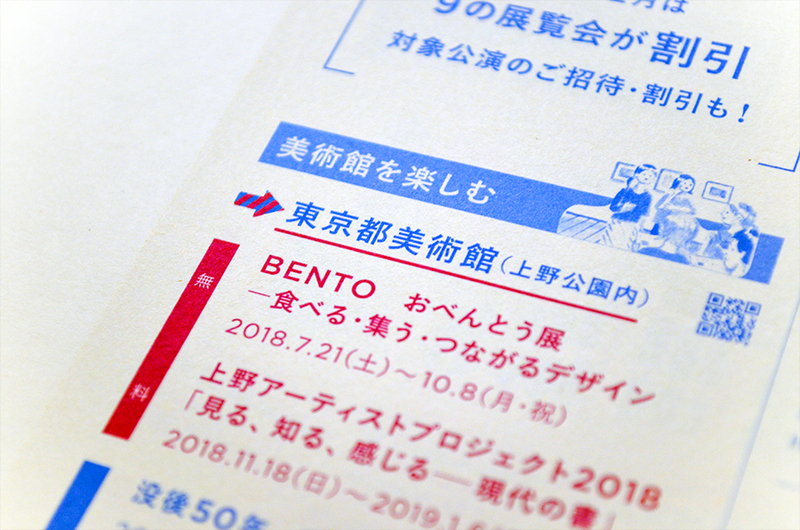 This is a kind of support program for students. 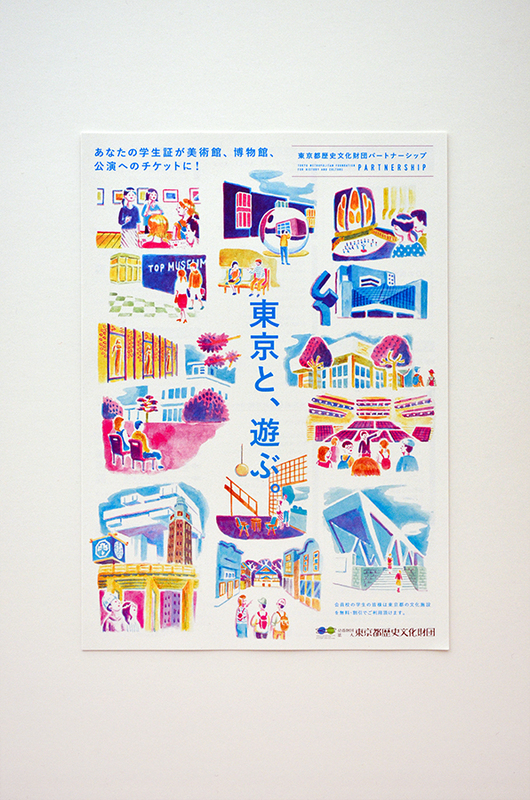 If you are learners who belong to partner schools of the foundation, you can enter many exhibitions of Tokyo’s cultural facility for free. 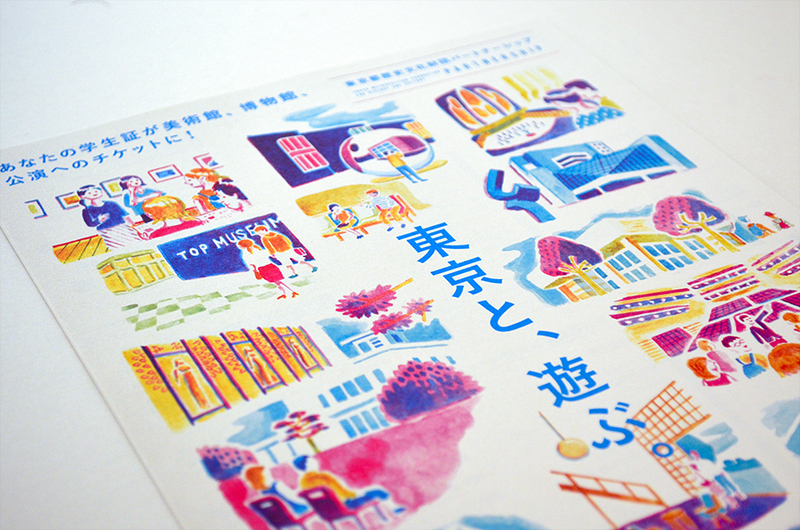 Copywriting by Takako Kabasawa, Artwork by Riyosuke Tanaka.